This book has been on my radar for a while, and when it came out in paperback and it caught my eye whilst shopping once, I knew I had to pick up a copy. Two days to read the book, so what did I think? Audrey suffers from an anxiety disorder, and it disrupts her daily life. She's making progress with her therapist Dr. Sarah, but then Linus turns up, her brother's gaming teammate. Audrey feels able to talk to Linus and open up with him in a way she's never been able to before. Their friendship deepens and Audrey's recovery speeds up as well. Their new relationship might not just help her, but might help her entire family too. A lot of YA novels are choosing to write about mental illness or feature a character who suffers with a mental illness. I think this a great thing; it's only ever good to get more people talking about something that affects so many people (1 in 4 people in the UK at least according to Mind). But it's even better when a book is able to do it in a good way. 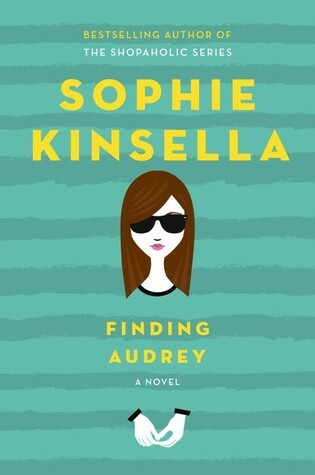 Finding Audrey does it in an amazing way. But, and I think this is really important, the book isn't exclusively about mental illness. It's a part of who Audrey is, but it's almost like the book is attempting to pull the sunglasses off of Audrey, if you'll pardon my excuse at a pun there. It's also worth remembering for mental illness in general too that a mental illness is only one of many parts that make up a person, and that's well represented in this book. It depicts the everyday reality for those that do suffer with a mental illness in such an amazing way, showing readers how difficult it really can be, and I hope that this book will help a lot of readers gain a much deeper understanding for how difficult mental illness can be, but also how there can be an end to it. Plus, Sophie has a great writing style. It may be her first YA novel, but I sincerely hope she chooses to continue writing YA. I'm sure we'd all welcome another YA from her.